Waleed Al-Shalfan is currently leading the Technology Organization for the Petrochemicals SBU, SABIC. Waleed started his career within SABIC, as a Physical Metallurgy Scientist, and since 2006, has held several key leadership posts. Prior to his current position, he served as Vice President of Polypropylene and Polyolefin Compounding Business Unit, Vice President of HDPE/PVC/PS Business Unit, General Manager of Corporate Research and Venturing, and General Manager of KSA Technology Centers. He holds a PhD degree in Materials Science and Engineering from Colorado School of Mines, USA, a Master degree in Advanced Metallurgy from Sheffield University, UK, and a Bachelor degree in Mechanical Engineering from King Saud University, Saudi Arabia. Waleed served as Board Vice Chairman, Saudi Petrochemical Company (Sadaf); Board Member, Saudi European Petrochemical Company (IbnZahr); and as SABIC representative in the Supervisory Committee of the National Plan for Science and Technology. 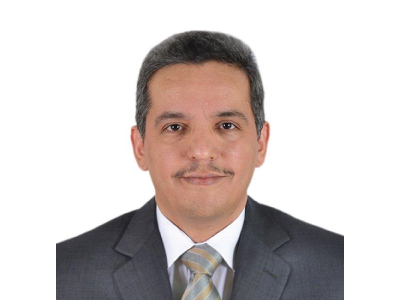 He is currently Board Vice Chairman, Board Audit Committee Member, and Risk Management Committee Member, Saudi Kayan. Waleed is a Member in the Executive Committee of the World Plastics Council (WPC), and also a Board Member in the Saudi Investment Recycling Company. He has delivered many presentations, and has published various technical papers, at regional and international forums.